Big hats, big trucks, big sky, big personalities, and of course a large land mass. There is some truth to the slogan “everything is bigger in Texas”. Even their wine region can boast about its size. 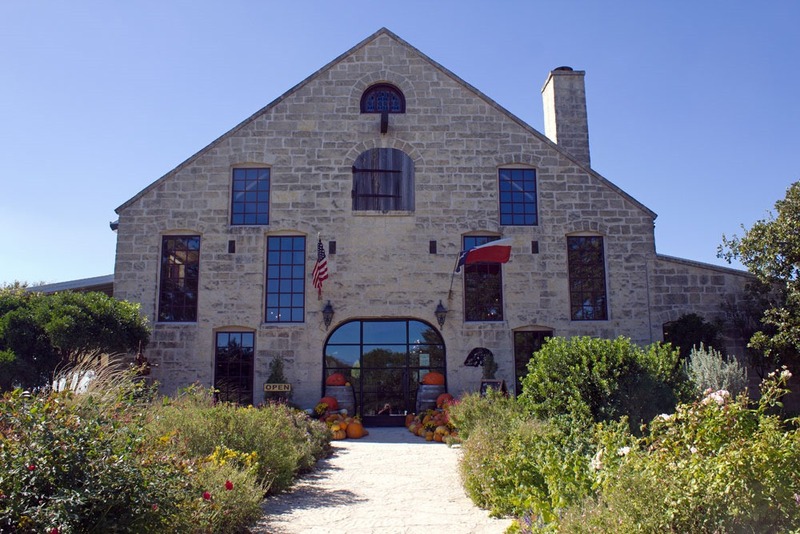 The Texas Hill Country AVA is the second largest in the nation, and the state now has 350 wineries scattered throughout every corner of this massive state. So trying to get your arms around it all is a bit like corralling a herd of longhorns. We focused on the wineries strewn along “the wine road”, the portion of Route 290, that begins about 45 minutes west of Austin in Johnson City and continues to the charming wine and food destination of Fredericksburg. Given their reputation for size and their high temperatures during the growing season, I expected to find some big wine in our first visit to Texas wine country. But in fact most Texas wines are not “big” if we mean by that lots of highly extracted ripe fruit up front, high alcohol, and robust tannins supporting a long finish. In fact, hot weather will not always produce ripe fruit because photosynthesis shuts down when temperatures get into the 100s and the vines cannot complete their respiration if temperatures stay too high at night. Add to that the short growing season in the northern part of the state where most of the grapes are grown and a general shortage of grapes that encourages excessive yields, and you have the conditions for ripening difficulties and in some cases mediocre fruit. Although we tasted many good wines and a few exceptional ones, the overall level was uneven. Furthermore, the prices are quite high. Tastings at the better wineries are usually $15 and bottles of their best wines $30 and above, even when the wines don’t measure up. 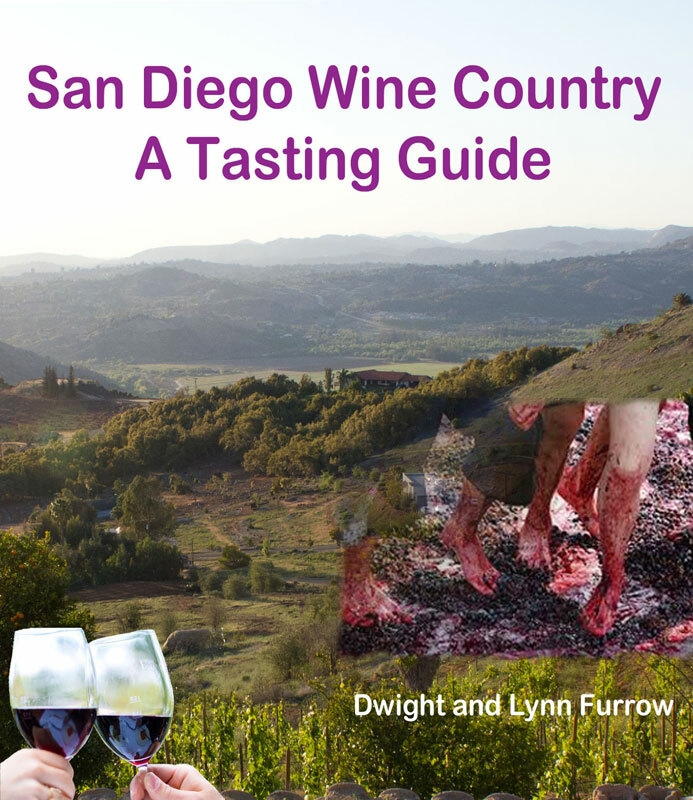 Despite these issues, this is an interesting wine region with a lot to offer the wine tourist. Tempranillo, the Spanish variety that flourishes on the hot, dry plains of Northern Spain, does well here because it buds late, is drought tolerant and ripens quickly. Wines made from this grape were by far the most consistent. Cabernet, Merlot, Rhone and Italian varietals are plentiful but inconsistent. We also found the white varietals such as Trebbiano, Pinot Grigio, and some Chardonnay to be generally crisp and refreshing although a bit shy and lacking aromatic intensity. The one exception to that is Viognier which showed well at several wineries. As to those local varieties that are relatively unique to this area, the white grape Blanc du Bois, a hybrid developed for its disease resistance and becoming increasingly prominent in the South, is crisp and refreshing with tropical notes and citrus. The red variety Black Spanish (aka Lenoir) was unimpressive, although as a dessert wine it may have promise. However, I tasted only a few and I should probably reserve judgment until I have the opportunity to taste more samples. Speaking of dessert wines, like other regions in the South, Texans have a sweet tooth. Most wineries offer several dessert wines and many offer a flight of sweet table wines as well. Sweet table wines are not to our taste but some of the port-style wines were quite good. Despite the general uneven quality of the wines here there are several wineries deeply committed to producing top-notch wines and intent on overcoming the limitations of this region. If you’re really looking for the best wines go straight to Inwood Estates. These wines, primarily Tempranillo and Bordeaux varietals along with a Chardonnay, were simply gorgeous; head and shoulders above anything else we tasted. Their tasting room is comfortable and the bistro inviting but it’s really all about wine quality here. Here is my review of their Magdalena Cabernet-dominated blend. Pedernales is also worth a visit. They have a sweeping view of the countryside and a truly outstanding Viognier Reserve, one of the best wines we tasted. Their Tempranillo Reserve is also quite nice. For white wines, Lost Draw Winery in Fredericksburg is doing good things with Albarino and Viognier. We also tasted at Hye Meadow, Texas Hills Vineyard, Compass Rose, Chisholm Trail Winery, Becker Vineyards, and Torre di Pietra. Many wineries in the area are weekend destinations with large, busy tasting rooms, attractive grounds, and food service to complement their wines. Although most wineries have vineyards on site, production in Texas Hill Country is too small to fill demand and most of their grapes are grown on the Northern plains. No wine region can be successful without restaurants to satisfy the hordes of wine lovers in further need of flavor. Fredericksburg has a wealth of options. Cabernet Grill and Navajo Grill are noted for their upscale wine-country fare. But we tend to seek out unique and distinctive regional foods when possible. 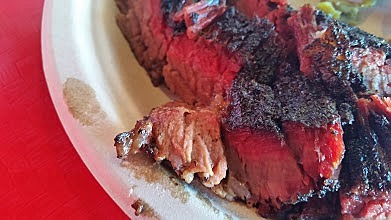 Of course, if you’re visiting Texas you are morally obligated to hunt down the best smoked brisket, and Fredericksburg has one of the top options—Cranky Frank’s BBQ. Frank didn’t seem so cranky; in fact he was quite pleasant. This is a real hole-in-the-wall. The sides won’t remind you of the French Laundry, or even Mom’s best effort, but the brisket (marbled of course) is fork tender and smoky with a gorgeous bark—it’s the real deal. They are only open from 11-2. Another Texas icon is just a 20 minute drive from Fredericksburg. Alamo Springs Cafe is reputed to have one of the best burgers in Texas (#3 according to the Texas Monthly) and it is quite a burger. The hand-pressed patty is Texas-size and juicy and there are plenty of options for condiments. I highly recommended the cheeseburger smothered in roasted green chilis. The house-made potato chips are a nice touch. For burger hounds this is a must visit. Fredericksburg was settled by Germans and it strives to keep its German heritage alive. There are several German-style beer gardens that serve a few German dishes along with Texas fare but we wanted a full menu of German dishes. Der Lindenbaum fits that bill with several versions of schnitzel, sauerbraten, German sausages and pork dishes with traditional German sauces, all served in a quaintly old-world atmosphere, and with a decent German beer list as well. Do not, I repeat, do not miss the desserts. The German chocolate cake was straight out of Bavaria. 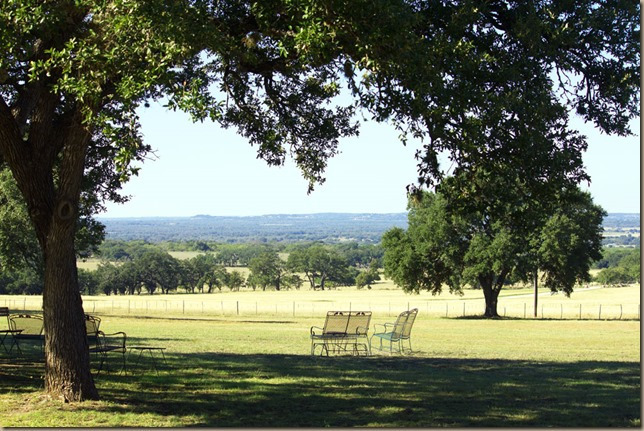 For the wine tourist there is plenty to like about Texas Hill Country. The countryside is pretty, the wines improving in quality, and the food choices excellent. Cross posted on Edible Arts on 11/18/2015.